No other Chicago personal injury firm matches the contributions made by the attorneys at Corboy & Demetrio to the legal community. We are the only Chicago law firm to include four former Chicago Bar Association Presidents. They are Philip H. Corboy, Thomas Demetrio, Rene Torrado, Jr., and Michael Demetrio. 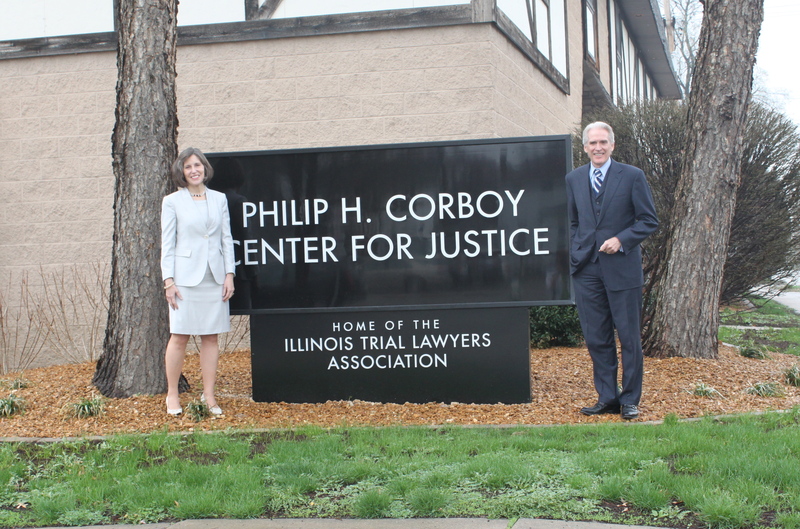 We are also the only law firm to include four attorneys who have served as President of the Illinois Trial Lawyers Association; namely, Philip H. Corboy, Thomas Demetrio, Robert Bingle and Philip Harnett Corboy, Jr.
Recognizing the enormous contributions of the late Phil Corboy to the legal community, the Illinois Trial Lawyers Association (ITLA) renamed its headquarters in his honor, the Philip H. Corboy Center for Justice, on April 10, 2013. Our late founder was President of ITLA from 1963-1964. From the time the firm began, participating actively in bar associations, writing articles, teaching, and lecturing at legal seminars and conferences has been strongly supported and encouraged. Collectively, the attorneys at Corboy & Demetrio have authored and published over 230 book chapters or articles in legal books, periodicals and newspapers; have been appointed to 11 faculty and teaching positions; and over the last ten years alone, have taught and lectured at over 200 legal seminars and conferences. Board of Directors of CBA Administrators, Inc.
Corboy & Demetrio partner Daniel S. Kirschner has been re-appointed to the Illinois Carnival-Amusement Safety Board by Governor Pat Quinn. Kirschner has been a member of the Board since 2010 and currently serves as the Board’s Chair. William T. Gibbs has been selected to The National Trial Lawyers: Top 40 under 40. Gibbs, along with founding partner Tom Demetrio, is representing the estate of the late Chicago Bear Dave Duerson, and three other former professional football players in litigation against the NFL. Gibbs was a high school computer science teacher and varsity football, basketball, and baseball coach prior to his legal career. While at the University of Notre Dame, he was a defensive back on the varsity football team, playing for Coach Lou Holtz. Corboy & Demetrio attorney Michelle M. Kohut was installed as the president of the Women’s Bar Association of Illinois on June 13, 2013. The mission of the WBAI includes promoting and fostering the interests of women lawyers. Michelle is a 2002 graduate of the Loyola University School of Law and joined Corboy & Demetrio in 2004. Corboy & Demetrio Partner Francis Patrick Murphy became President of the Board of Directors of the Lawyers’ Assistance Program on November 1, 2013. LAP helps Illinois lawyers, judges, law students, and their families with alcohol abuse, drug dependency, and mental health problems. LAP services include education, peer assistance and intervention. Patrick had been serving as Vice President. Corboy & Demetrio Associate Michelle M. Kohut recently received the National Law Journal’s 2014 “Two Steps Forward” award for her work in helping advance the legal careers of women. Michelle is the Immediate Past President of the Women’s Bar Association of Illinois. 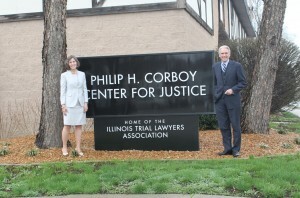 This entry was posted in News and tagged Chicago Bar Association, Chicago personal injury law firm, Chicago personal injury lawyer, Corboy & Demetrio, Flip Corboy, Illinois Trial Lawyer Association, Michael Demetrio, Philip H. Corboy, Rene Torrado, Thomas Demetrio. Bookmark the permalink.